When we took over our plot we inherited a few fruit trees that had been cut right back to stumps by a former tenant (in a fit of pique when they were evicted, according to one plot-neighbour). They’ve re-grown, as trees will, and I’ve been gently encouraging them – a bit of a prune here, removing a few suckers there – in the hope that they’ll produce something interesting. It’s a plum or plum-cross variety of some sort, anyhow. And it tasted vaguely greengage-y when I ate it. As long as the forecast cold snap doesn’t kill them off before they’re pollinated then with any luck I’ll know what’s what in a few months. Fingers crossed for greengage. 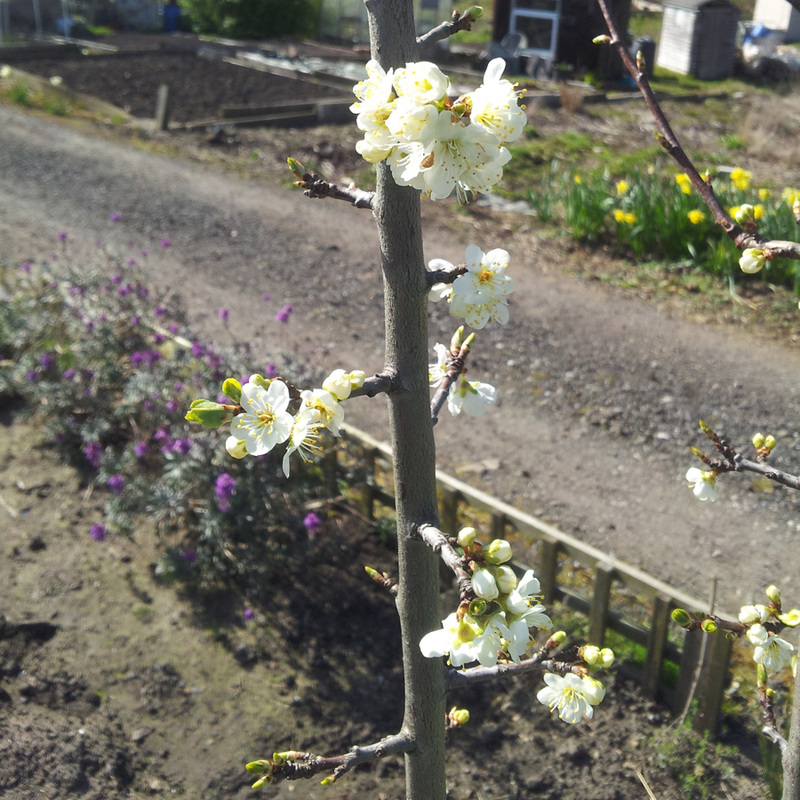 Our greengages and plum are flowering at present. The fruit looks vert round which is more greengage like and plums don’t usually stay green. Cheers Sue, it’s sounding hopeful. 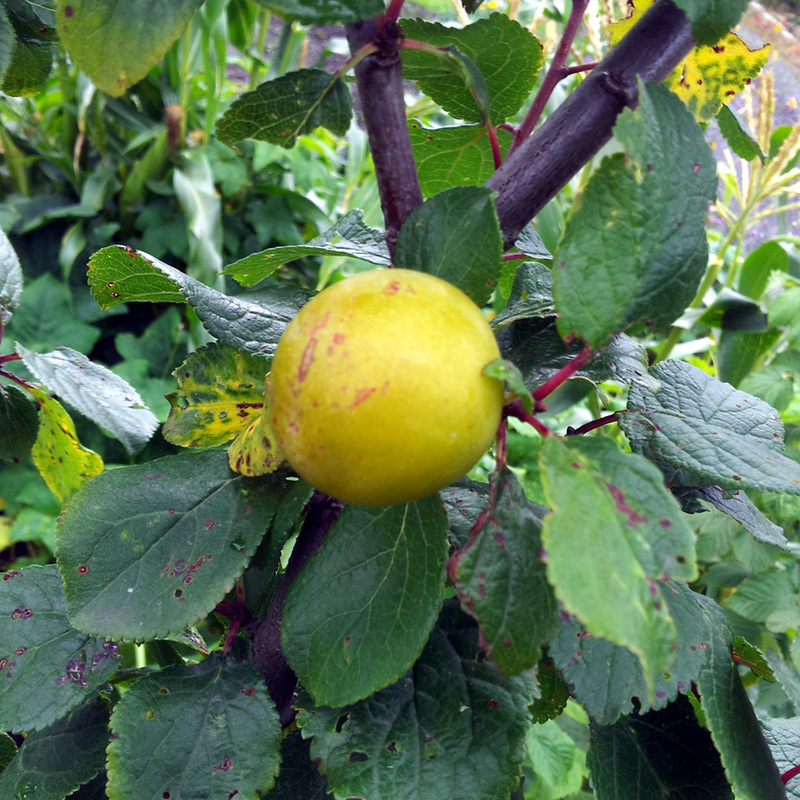 Someone on Twitter suggested it could be a mirabelle plum? I’ll have to wait and see.